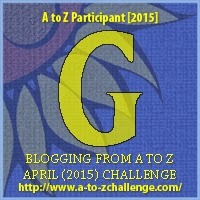 a2z challenge gluttony Gluttony is not a sin! The spectacular sight of Bengali dishes on my table made me drool. I scanned the table and witnessed a wide variety of sweets and chocolates - all made by my beloved. For several years I had been tormented by drinking bitter gourd juice. I looked at my wife like an innocent child. For years, my hands were banned from touching any sweet items. I looked at her and through innocent gestures I asked her if could have those. She stared straight into my eyes and nodded her head. This gave life to the thousand butterflies and the rats rumbling inside my stomach. Today I was a free bird! Diabetes - I will kill you! I digged a small part of the sweet item and put it inside my mouth. That feeling of bliss was beyond words. My hands trembled as I went ahead to dig few more sweets. But I was content with the small pinch of the sweet that I ate, for the fear of Diabetes! She remained calm and smiled at me. What was the reason behind this sudden mind change? I wondered. "Is this dream or reality? " I asked her. "Dream! Of course not," she riposted. "These sweets are made from the new sugar free... from now on your days would be sweet too!" Gluttony is something that lets people cross the limit. For many think gluttony is a sin. But in reality it isn't! It will let you crave for more but as your cravings grow big, you learn to be content with what you have. So Gluttony is not a sin! Sigh! Oh I'll go with gluttony not being a sin. It's human nature to want that which we can't have and then having got it, to want for more. What a sensible lady! God bless her!! !